Peter Lynch (Wikipedia) one of the most enviable fund manager of all time written in his Book “One Up on Wall Street” that we should buy a house before we invest our money into the stock market. Do I own a house? Lynch suggests that you buy a house before you invest your money in the stock market because, "in 99 cases out of 100, a house will be a money-maker." The way he sees it, a house is rigged in your favour. You can acquire one for 20% down (without having to make the cash call like you would with a stock bought on margin), the leverage you use increases your returns, and the interest on the loan is tax deductible. In addition, people generally do more research when they buy a home than when they buy a stock, which further increases the chances that the investment will turn out well. One of the most successful fund managers of all time, advocating public to invest in a house taking advantage of leverage before investing in a stock? Peter Lynch said that when people look at a house, they're very careful. They look at the school system. They look at the street. They look at the plumbing. When they buy a refrigerator, they do homework. But when it comes to stock people are so convinced that the small investor has no chance, the stock market's a big game and then they act accordingly to the masses. "they'll put $10,000 in some zany stock that they don't even know what it does that they heard on a bus on the way to work and wonder why they lose money, and they do it before sunset." Does that really mean that property is better than shares? Hmmm…. Or probably it is a function of how much effort or hours you put into research? Renting is More Feasible According to a Research? Condo unit purchased at ~ S$1.28 million near upper Bukit Timah area. Price appreciation less than 2%. Fixed interest 2.18% for next 4 years over 30 years. No inflation and no discount rate. Minimum required down payment plus other miscellaneous fees all paid. Overall a Loss of S$149,000/- conducted by a research company. Hence according to this research, renting is more feasible over 4 years. However if property appreciate more than 2%, then the reverse may be true instead. R’ST Research director said owning a property goes beyond profit and loss, but also personal and psychological factors. For instance, pride of owning a property and also owners do build up equity as they pay down the mortgage. Financial security such as regular income had to be taken into account also. Also consider maintenance fees of property over time (wear and tear), condo monthly fees, property tax, hassle of finding tenants, and troubles you will encounter with troublesome tenants. “If Singaporeans buy a flat or private property, they will surely enjoy capital appreciation in the long term.” Ong Kah Seng, R’ST Research Director. Mr. Ong also mentioned that rental money essentially goes to nowhere, merely helping landlord to pay off the mortgage, nor yielding one any returns. Singapore housing policies such as CPF are also inclining towards home ownership instead of rental. The absent of Capital gains tax in Singapore also encourage foreigners to invest their cash in property here. Property or Stocks? Ask yourself which is better for you? Which one interests you more to perform hours of research? Which investment class makes you can sleep better? Personally I will like to agree with Peter Lynch that invests in a house over your head to stay first. Do not rent a house to stay if you intend to be in the country for long. Additional real estate investments then are just like stock investments. It requires hours spend in research until you become adept in it, before you unleash your buy call. I also cannot agree more that Property and Shares are two different asset classes. They are different and you cannot really proclaim that one is better than another. I currently invest in both asset classes to diversify my portfolio. This can provides me with different streams of income. Do remember that before you invest, you require building up your warchest of money. This requires years of regular savings as well as immense efforts in career/business to increase your earnings. Remember that Warren Buffett work many jobs as a teenager and also started a “Pin Ball” business” to increase his earnings, save and invest. So next time, when you hear a friend saying that “Property is better than Stocks” or “Stocks is better than Property”, there is no need to be agitated and start arguing against it. Just have to remember that both asset classes are different and both require hours of research before you reap your rewards. I know people who are more stocks savvy than properties. They are always very skeptical about property earning money. Worse still, when they know of facts that people earn money from property who know nothing about stocks, they are jealous and angry. Imagine above advice is not from Peter Lynch and from a nobody. Will you still be open and heed the advice? Can we excel in both asset classes? Even if we don't isn't it better to accept what others prefer? Personally I love both stocks and property investing. I like that you mentioned people doing more research on properties than stocks. 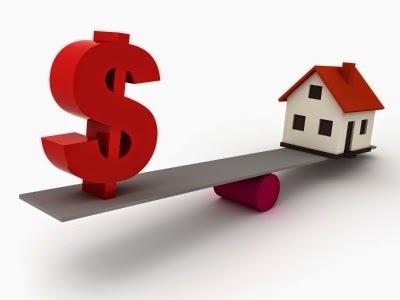 I think either than the fact that it involves a more huge sum, properties research are also more layman understanding (such as vicinity, facilities, etc) as opposed to stocks where it can get complicated and deter people from investing in the asset class. Cannot agree more with you! Therefore maybe we should treat every stock trades (irregardless of size) with great care just like a property purchase/ sale. Own a home first and the home will become the asset of last resort? Agree. Own it as a roof over your head, especially HDB before prices emulate HongKong price one day! In Singapore's context, all things being equal, the earlier we get married and buy our first HDB flat (provided not unlucky to buy at the peak); plus 2nd bite of the cherry, life can be quite good for my generation and those generations before me. It would be interesting to hear from those in their mid or late twenties whether they feel property is one good asset to "ride" together with Singapore's growth? I envied my friends (my generation) who applied for 4Rm HDB at 200k in the mid 2000s. But most got it at 400-500k after 2010. My sis (your generation) got her 4Rm at 130k near redhill area in mid 90s. I reckon if you are eligible to apply for new HDB flat, do it early. Prices for new HDB are not so cyclic. For resale and private, you have to be more careful of the cycles. Yes, hearing from mid and late twenties is interesting. Prices of housing is too ex now 400-600k for HDB. In fact most prefer to go for EC due to the facilities ranging from 800-1200k. But then again, because of the fruits from the older generation, most younger generation do have extra support of down payments, reno or marriage expenses to compliment their more expensive housing. Most of my folks generation have to support their parents. How about younger folks generation now? Many are preparing for their own retirement. Your generation support parents, yourself and also your children generation. Poor thing. Think I am not so different here, since my only parent has always been a housewife and need me and siblings' support. I also need to support myself all these while. Hopefully I do not need to support my children when they start working. Pray! Hmmm.... and I do not have a cheap HDB as your generation. So guess I am not in the category of younger generation anymore.